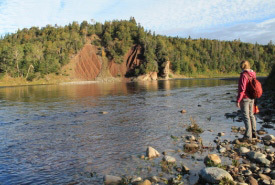 NCC currently owns 26 acres along the shores of Rocky Brook, in the rural community of Reidville, on Newfoundland’s west coast. 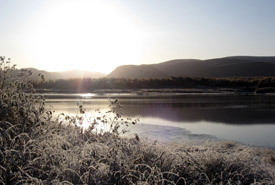 NCC currently owns 606 acres (245 hectares) surrounding Crabbes River, a scheduled salmon river in southwest Newfoundland. 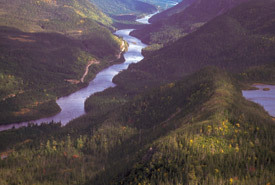 NCC currently owns 2,174 acres (880 hectares) along Lloyd's River in the Annieopsquoch Mountains of central Newfoundland. NCC currently owns 11 acres (5 hectares) in Maddox Cove, along the eastern Avalon coastline. 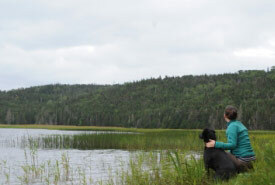 NCC currently owns 437 acres (177 hectares) along the Salmonier River on the Avalon Peninsula. 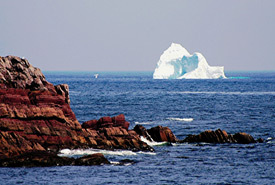 NCC currently owns 67 acres on Sandy Point, an island in St. George’s Bay on the southwest coast of Newfoundland. 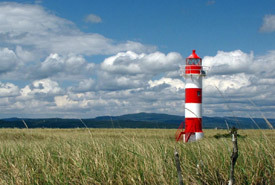 NCC currently owns 600 acres (243 hectares) along the Grand Codroy Estuary, a wetland of international importance. NCC currently owns 3,879 acres at the headwaters of Robinsons River, an area known for its natural riverside grasses. 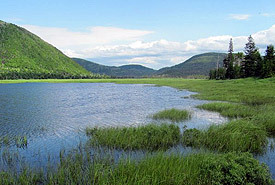 NCC currently owns 1 acre (.40 hectares) along the Torbay Gully wetland in the municipality of Torbay.